Having family near should mean that our children can be with people who want to be with them, who have their best interests at heart, who seek them out and who will take on any responsibility necessary for their health, safety and enjoyment of life. One of the tragedies that face children with a significant or complicated diagnosis is the stress on family relationships and loss of connection they may experience as they grow up. Sometimes, one side of the family provides all the support and acceptance that we wish every child could find, in stark contrast to the behavior of the other in-laws. Most often, there are individuals on both sides who stumble in their compassion or are slow to warm up to their better natures, and champions on both sides. When a child is diagnosed with a serious health issue, developmental disability, or other complicated condition, it is often the mother of the child who becomes the case manager, family counselor, transportation coordinator and medical expert. Managing family relationships between siblings, cousins, aunts, uncles and grandparents while filling every ordinary role expected of an average mom can exhaust women whose children are healthy and typically developing. Family relationships reflect the complex and diverse nature of our personalities, family history and stability, as well as our traditions, economic necessities and community support. When a child has a complicated diagnosis, chronic health condition or developmental disability, individuals in the family cope with the challenges that affect them most significantly. Some parents find that while they have successfully advocated for their child to grow up included in the mainstream of their schools, churches and communities, there is a disconnect within their own families. As siblings mature and leave they may feel the need to experience their lives as individuals making their own way in a world where they are free to make personal decisions without consideration of a brother or sister with special needs. This may be encouraged by family members who prefer to reduce or eliminate their own contact with a child or teen who is disabled. Others may be devoted to their sibling with a significant disability but find work in another state or region of the country with no services available for their brother or sister or where even a visit would mean the loss of services and support in their sibling's community. This is a risk that parents and extended family members face when offered promotions, transfers or advancement in the military. Children and teens with significant support needs may already have been on long waiting lists for underfunded services in their own communities, and parents have put together a patchwork of support that can only be maintained within that city or county. Single mothers of children with disabilities often face the greatest challenges. If most of her extended family is out of state, her child may spend most of the time with people who are paid to be there. Often they are not paid well enough to be there for long; sometimes they are paid well enough but promoted. In our always mobile society it takes careful planning to stay connected with neighbors and friends who become virtual family for a son or daughter with special needs. 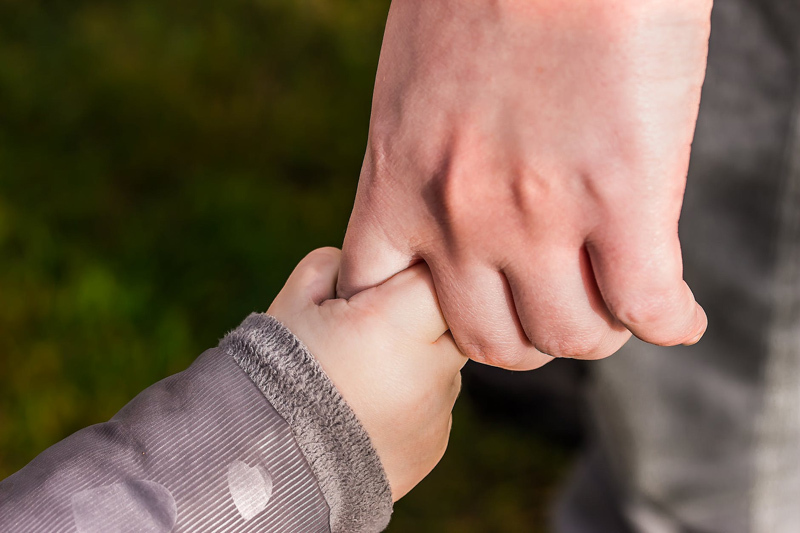 Even the best of friends may not feel capable of establishing a long term, caring relationship with a child who has significant healthcare needs or other complicated diagnosis. If no competent respite care is available, single moms providing intensive, long term care for a child with special needs often lose contact with the kindred spirits most likely to fill that role in their lives. There is no guarantee that even the best of friends will maintain contact, as neighbors relocate or get caught up in their own children's mainstream activities and transitions. The fundamental responsibility of families is to maintain contact and communication with one another. Children and their caregives suffer when bonds are broken because family members are not able or refuse to take responsibility for maintaining relationships, are unable to competently care for a child with a significant or complicated disability, or when domestic violence or abuse creates a toxic environment. Mothers who are primary caregivers often have few resources, savings or retirement plans. Upward mobility is often not an option for the main caregiver of a child or teen with significant health, behavior or developmental disability. Most are unable to hire a reliable alternate caregiver, or to rely on a close friend or relative who enjoys their child's company and can provide a safe environment. Family members, and friends who serve as virtual family, fill the basic needs any child growing up in our community deserves. We want our children to be with people who want to know them and be part of their lives. Without family, both mother and child are likely to become more financially vulnerable and socially isolated as the years pass. In some communities, families of children and young adults with significant medical or other challenges are able to access respite care or adult day health for a few hours each month or week. The current economic situation threatens even these critical support services. Individuals who are partially disabled by significant health issues or developmental disabilities will be bearing the full weight of the crisis. Our families deserve better support.